By clicking Timeline screen, you can add ‘New Booking’ and ‘Walk-in’. If you choose walk-in, just input PAX, then you can add walk-in. When adding new booking, we show the suitable tables for you. Just click the suggestion table, you can set start time and table(s). 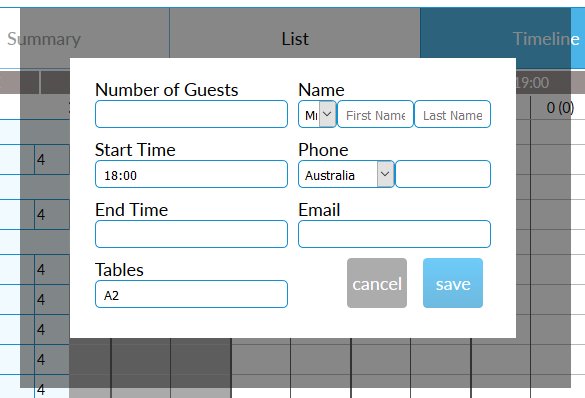 We changed default value from ‘minimum guests’ to blank. At the moment, there are technical problem to send SMS to U.S. So we decided to stop sending SMS to customer who put U.S. mobile number. Accepting just once, Yes-No of Confirm mail. There is Yes/No link on the confirmation mail from tebole to ask customer if you will come or not. At the moment, customer can click Yes / No link again and again but from this update, customers can click just once. to booking mail to restaurant. 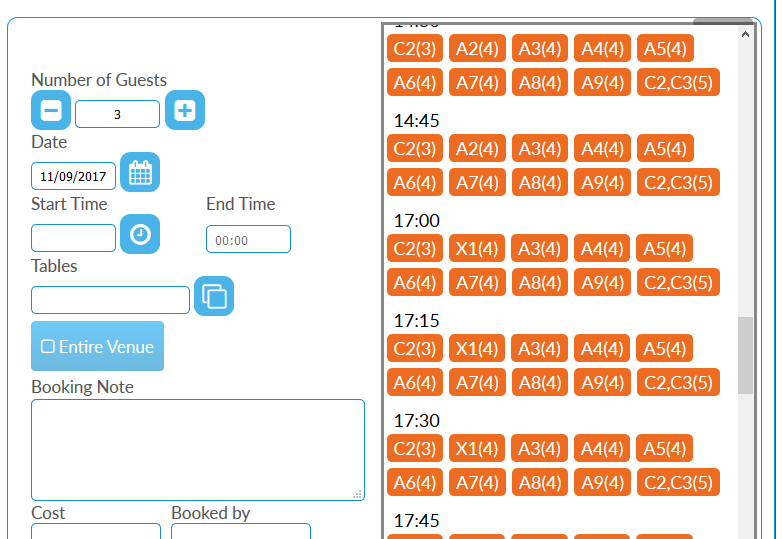 You can check table information and direct link to booking detail screen. If restaurant set booking block time 1 hour before service, and opentime is 5 pm. Customer can not book today’s booking after 4pm. However if customer open booking screen before 3pm and submit booking after 4pm it was accepted wrongly.